You may have just found your home! Located just 15 minutes from Lake Michigan in La Porte county, Westville is a small town just beginning to expand. 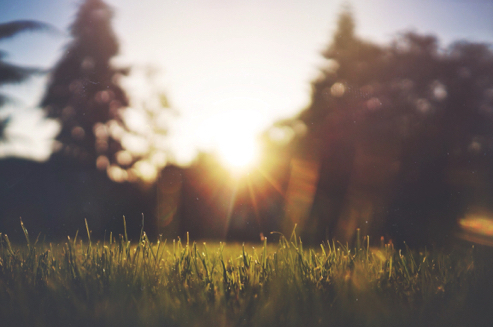 Our town has an ideal location, with Michigan City to the north, La Porte to the east, and Valparaiso to west, which makes for a wonderful place to live. You are close to bigger cities but far enough to enjoy a rural lifestyle. Purdue Northwest is just 5 minutes from downtown with easy access to the 80-90 toll road. Hop on the toll road and travel west for 45 minutes to downtown Chicago, perfect for an evening of enjoying the Chicago nightlife. Or travel just 15 minutes to Lake Michigan. Enjoy the wonderful dunes or hangout at the casino. Notre Dame fan? South Bend is approximately 40 minutes to the East on the 80-90 toll road. What more could you ask for in a town! Be sure to subscribe to Westvill Town-Hall YouTube channel to stay up to date! “Per Ordinance # 2012-4, this is just a reminder that every owner or operator of any premises shall keep the alleys, street, sidewalk & public right of ways free & clear of all grass clippings, leaves, trash or rubbish." 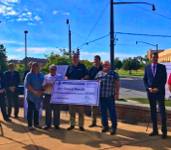 Town Council Member Jim Bechinske, Street Department Superintendent Mark Hale and Clerk-Treasurer Lori Mercer accept the $404,998.28 Community Crossings Grant Award from Governor Eric Holcomb in South Bend on October 5, 2017. The Town Council applied for this grant which will allow the town to make improvements to several of the streets in Westville. This project is expected to begin in early Spring of 2018. Maybe it’s an emergency like a bad winter storm, or a more routine situation, like a reminder that report cards go out tomorrow. Either way, REACH Alert is ready to notify everyone. Click to read more! Check out Purdue NorthWest Fitness Center. To learn more about the fitness center & services, click the link. Check out Grocery, Butcher, Gifts. 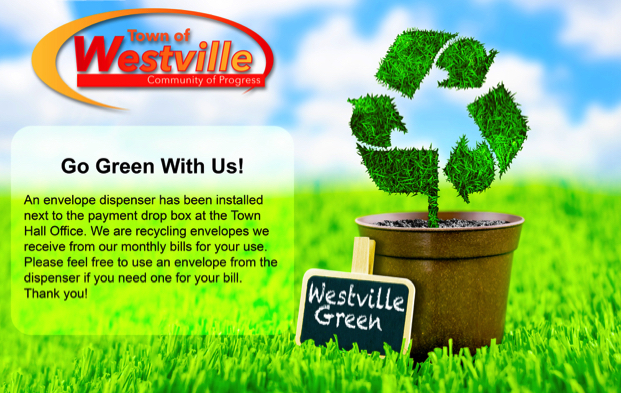 Located in downtown Westville Indiana, click the link to learn more. 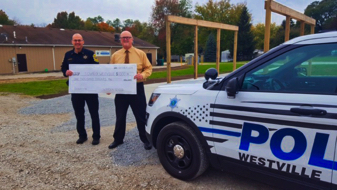 Superintendent Mark Sevier from the Westville Correctional Facility presents a $1,000 donation to Marshal Darin Mercer from the Westville Police Department to assist with funding of the Blue Line Park .